Hello, hello. Happy Tuesday! How was everyone's bank holiday? 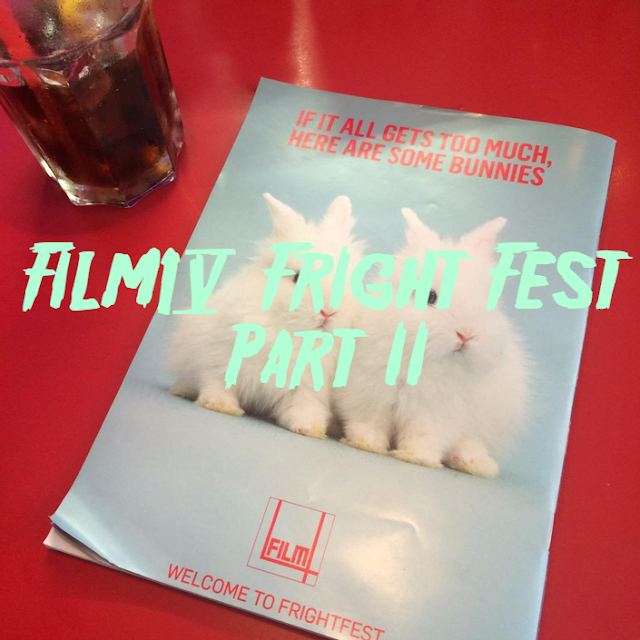 As you all know by now, this past weekend saw the 16th annual Film4 Fright Fest event and today I'm sharing Part II of the festivities! This year's Frightfest saw the World Premiere of Enrages (translation, Rabid Dogs). Based on Mario Bava's original 1974 classic, and following a poorly planned bank heist, three french criminals go on the run taking a young woman, a father and his sick child hostage. Now a deadly road trip, the race is on to reach the border and escape with the money. Unlike the original, this film is french-speaking (not Italian) and made for the masses with Hollywood inspirations. Channeling Drive (2011) and oozing with film noir style, Rabid Dogs is ultimately swarve, beautifully constructed and with an extremely satisfying and thrilling twist. This was truly one of my favourites from the whole weekend and gets a Sophie star rating of 3.5 stars. 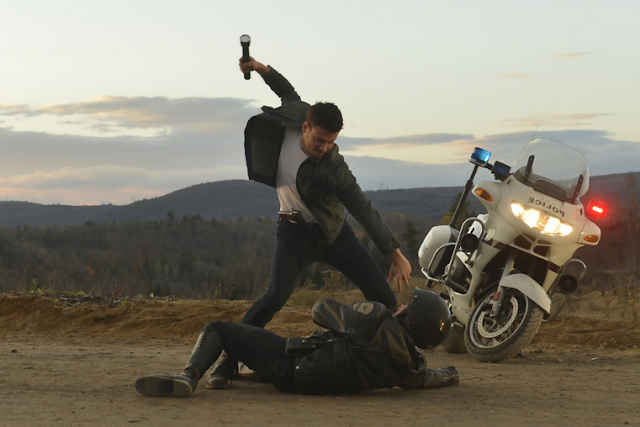 You can read my full review of Rabid Dogs here. Bex and Dawn own a tea and cake market stall in a run-down, West Yorkshire town. In the hopes of one day opening in their own shop, they meet with countless banks only to be denied a loan but when a seemingly nice guy offers to invest in their business venture, they get in way over their heads at the hands of a vicious, sleazy loan shark who makes their lives a living hell. Directed and written by Emmerdale's own Dominic Brunt and starring his own wife, Joanne Mitchell, as Bex, comes this refreshing take on a British salvation horror. Though there is a tremendous amount of gallows humour, the true reality of it's story-line makes it all the more chilling with it's grittiness and violence adding to it only further. Jonathan Slinger gives an excellent performance as a human depiction of the monster and despite a few cheesy lines and hilarious special effects, this tongue-in-cheek horror gets a Sophie star rating of 3 stars and is cinemas next week! Anna (Beth Riesgraf) has isolated herself from human contact for nearly ten years. Suffering from crippling agoraphobia and holed up in an old Victorian mansion on the outskirts of town, when her brother passes away, she is left utterly alone. Believing her to be away at her brother's funeral, a trio of small-time criminals break in to her home in search of a hidden stash of cash. She can’t bring herself to flee, but what the intruders don't realise is that agoraphobia is the least of her psychoses. Another one of my favourites from the weekend is Shut In. It had a fantastic plot twist by which the revenge structure is turned completely on it's head. I thoroughly enjoyed it and whilst it may not have been the greatest of the entire weekend, it's certainly up there in my top picks. 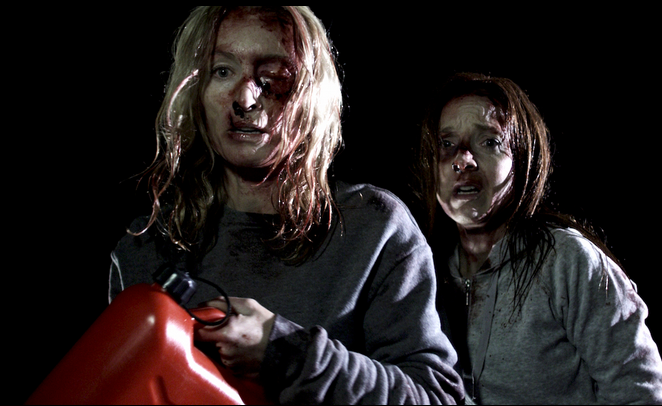 Shut In gets a Sophie star rating of 3 out of 5 stars. During the outbreak of a mysterious deadly epidemic ravaging a rural European village, sisters Ayia and Mirra promise their dying mother to look after each other. When Mirra also falls victim to the disease, a desperate Ayia realises that conventional medicine is not the answer. And at Father Herman’s house she discovers a Shamanic book containing spiritual healing rituals and clings to the hope this therapy will save her sister. But the mystical cure involves complete immersion into the victim’s deepest subconscious. Paying homage to Russian fairytales and Tarkovskian surreality, III is visually very stunning yet the CGI and golden glows undermine it. If you can suspend reality and take it at face value, it is a good yet strange fantasy horror, if in some places a little cheesy. Beautifully dark, III gets a Sophie star rating of 3 out of 5 stars. And finally, a grey cloud was cast over the festival on Monday when it was announced that horror director and writer (not to mention, legend), Wes Craven had passed away from brain cancer, aged 76. Responsible for some of the greatest on-screen horrors, Craven established an entire sub-genre all of his own. Renowned for Last House on the Left (1972), The Hills Have Eyes (1977), the Scream franchise and of course, The Nightmare of Elm Street films, the genre will never be the same without him. May he rest in peace! 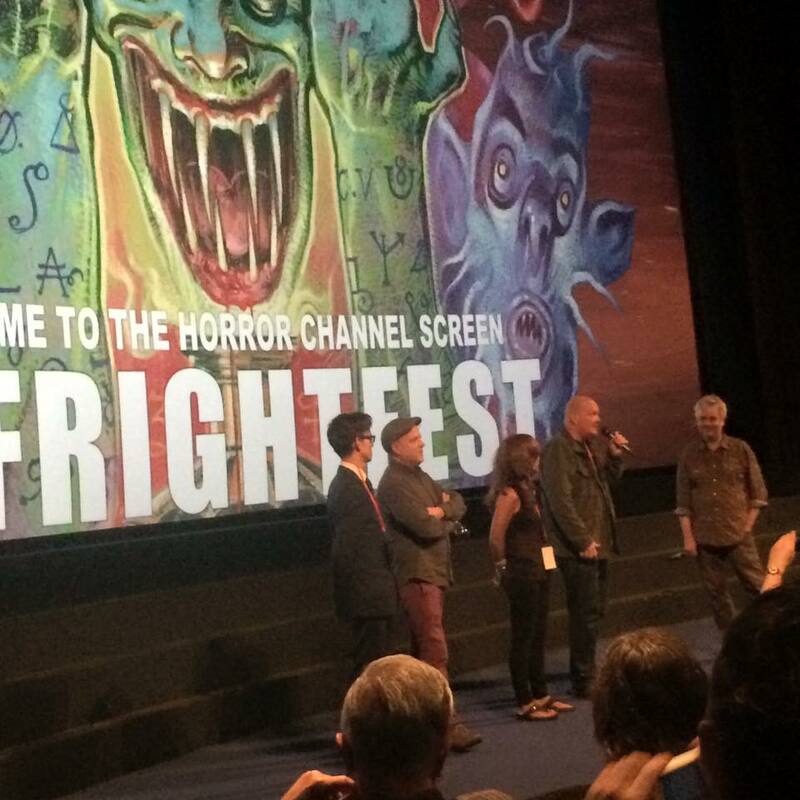 That's it for another Film4 Fright Fest! It was such a great weekend, with some amazing celebrity guests and films. It's safe to say I am knackered! I hope everyone had a great bank holiday weekend. 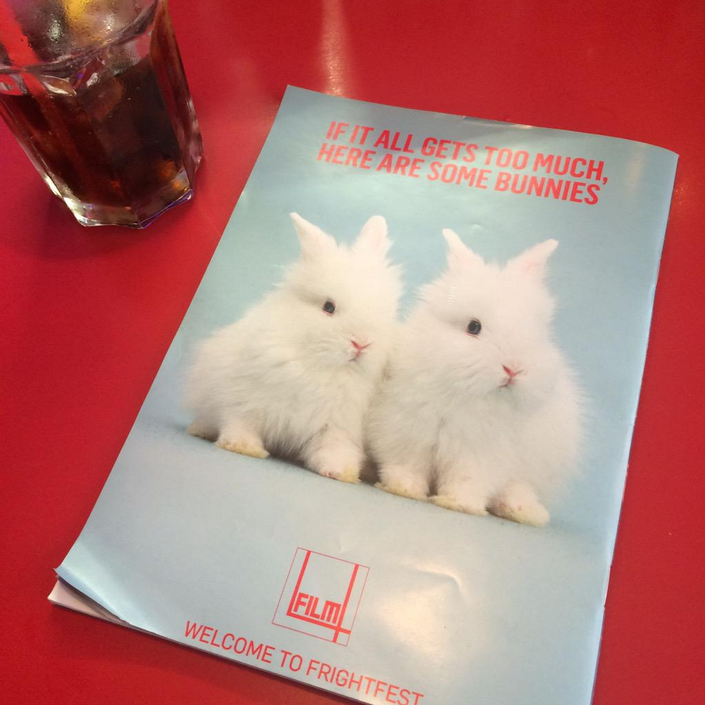 Have you ever been to FrightFest? What did you get up to this bank holiday weekend? Would you watch any of the films above? 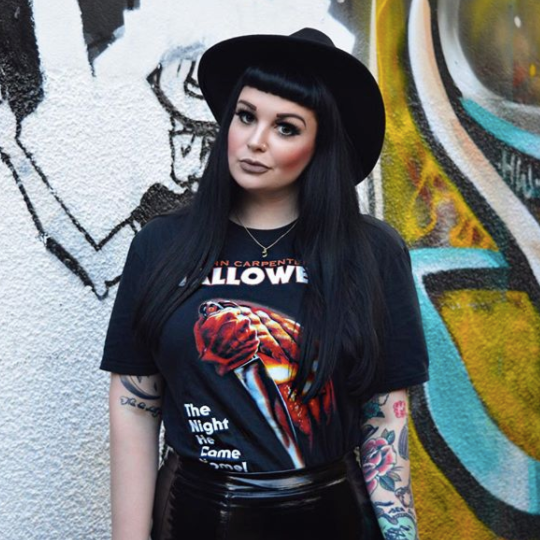 As always, I love reading your comments so please do leave them below and don't forget to vote for me for the Bloggers Blog Awards here! When you described III as paying homage to Tarkovskian surreality, my interest was piqued. 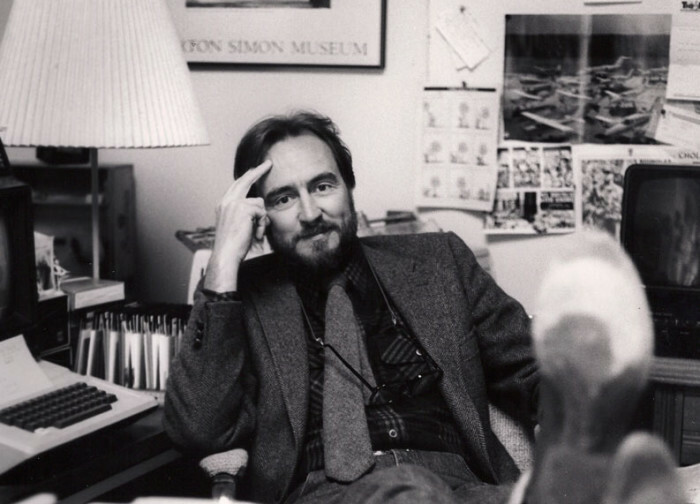 In reading Wes Craven's obituary, I noticed he also directed Swamp Thing (1982) which I have vague memories of watching on television (and being good) in addition to all the films and franchises you mentioned. Totally want to go to fright fest - looks so fun! Love a good horror. ALSO CONGRATS ON THE SHORT LISTING FOR THE AWARDS LADY! Totally voted for you ... obviously. but it looks like a lot of fun for someone who enjoys them. Yayy.. all of it seems like a must watch.. ah, will ask my bf for this movies! These all look so good! You can't beat a good horror movie can you?! I would love to go to Fright Fest!